Annmarie Skin Care > Healthy Lifestyle > Annmarie Supports Cancer Awareness! This is why we do what we do – to help support you in making better choices for your health!! Our products are purposely formulated without any carcinogenic chemicals or ingredients. We know that you can get amazing, beautiful, and glowing skin using 100% natural, organic, and wild-crafted ingredients! Lots of people don’t realize it, but your skin is a giant organ – just like your heart. You should never put anything on it that you wouldn’t feel comfortable eating. That’s why the mission of Annmarie Skin care is so important to me – I wanted to create products that were yummy and beautiful, but most of all SAFE. We have a few programs going on in October in support of Cancer Awareness Month! You helping us give back! Second, during the month of October we are donating 10% of the proceeds from the sales of our full-size Coconut Body Oil to the Gerson Institute Cancer Center! And, not only will we be donating to the Gerson Institute, but full-size Coconut Body Oils are $5 off when you use the coupon code coco5!! The Gerson Institute is a non-profit organization, located in San Diego, California, dedicated to providing education and training in the Gerson Therapy – an alternative, non-toxic treatment for cancer and other chronic degenerative diseases. 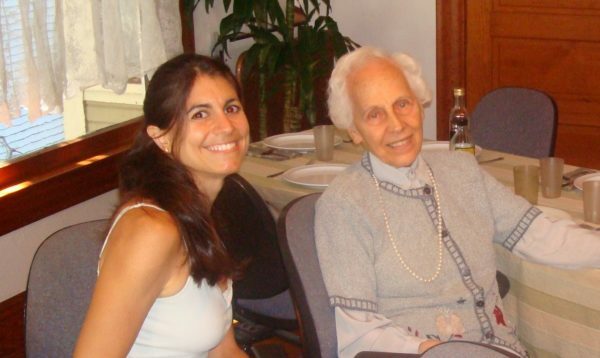 Dr. Gerson's daughter, Charlotte Gerson, founded the Gerson Institute in 1977 to spread awareness of the Gerson Therapy and make it available to people across the world. The Gerson Institute is the true source of information on the original, proven Gerson Therapy. My husband and I have meet with Charlotte Gerson a few times and she is an amazing woman! I love learning from people who have experienced a long and vibrant life – not just those who talk about it. Charlotte is a turning 90 years old next year. She stands tall, strong, and vibrant. As far as we know, she still drives herself to Mexico at least once a week to talk to the patients at her center there. I can only hope that I’ll be in her shape at that age!